The 3,400-meter-long, 60-meter-wide runway will open the airport to the Airbus A380 jetliner, the world’s largest passenger airline. 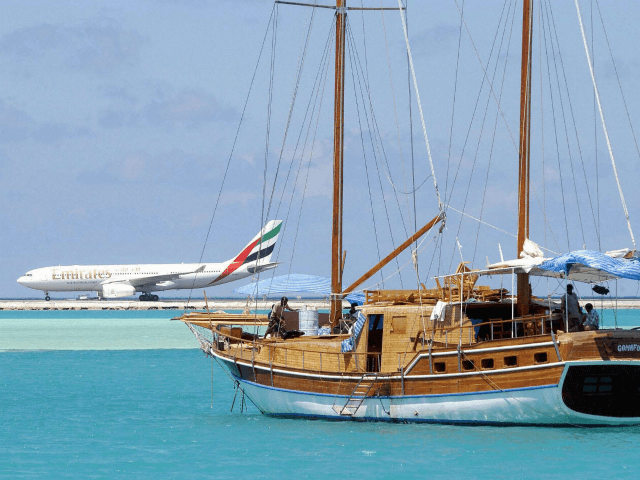 So: Chinese, Saudi and Kuwaiti money and Chinese engineers to build a new runway on coral atolls which – according to environmentalists – are one of the places at the world most at risk from ‘climate change’. This suggests one of two possible conclusions.